The Largest Carpet Shop in Marrakech. 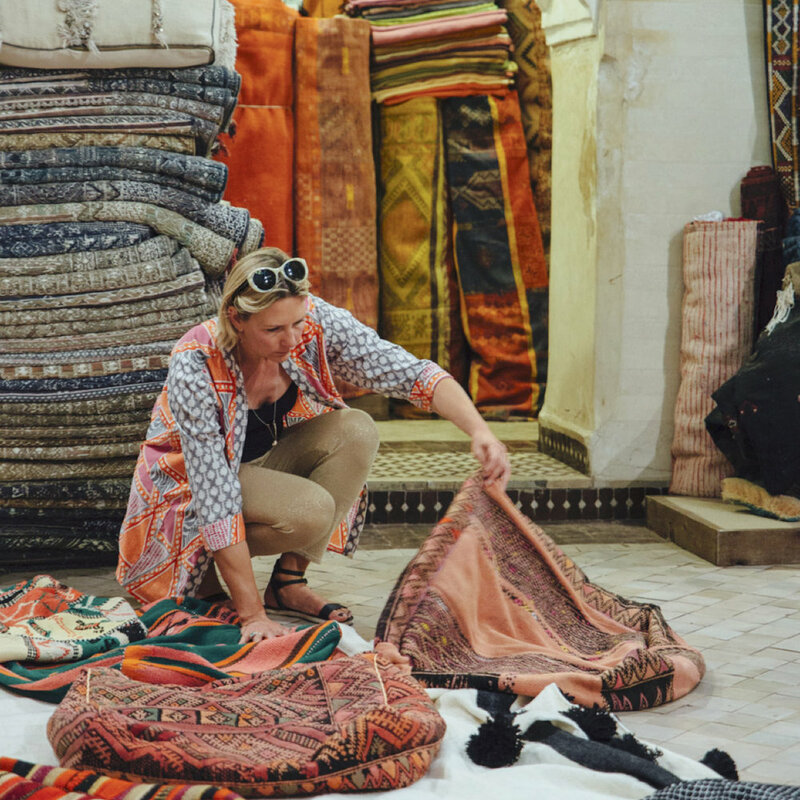 Artisanal Moroccan Rugs Sourced from Traditional Berber Villages. Old carpets in good condition are hard to come by, but not at Les Nomades De Marrakech. With this many carpets, you will learn to mark the passage of time as carpet-weavers do, through developments in style and design. There is no fast talk or hustle here, the selection speaks for itself. 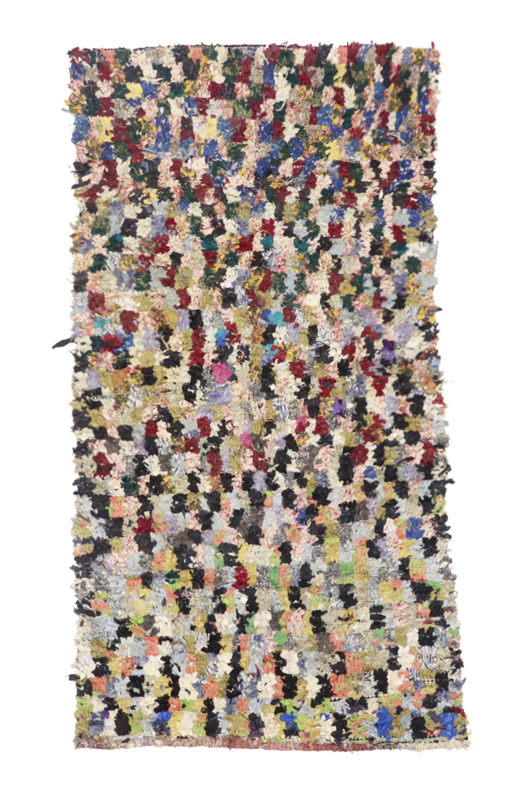 Known for their colorful designs with Berber motifs, these carpets are traditionally hand woven by skilled women artisans in central Moroccan province of Azilal and no two are the same. 100% sheepskin wool rugs handmade by Beni Ourain tribes in the Moroccan Atlas Mountains. Traditionally cream in color with large lozenges they provide a timeless and minimalist look. 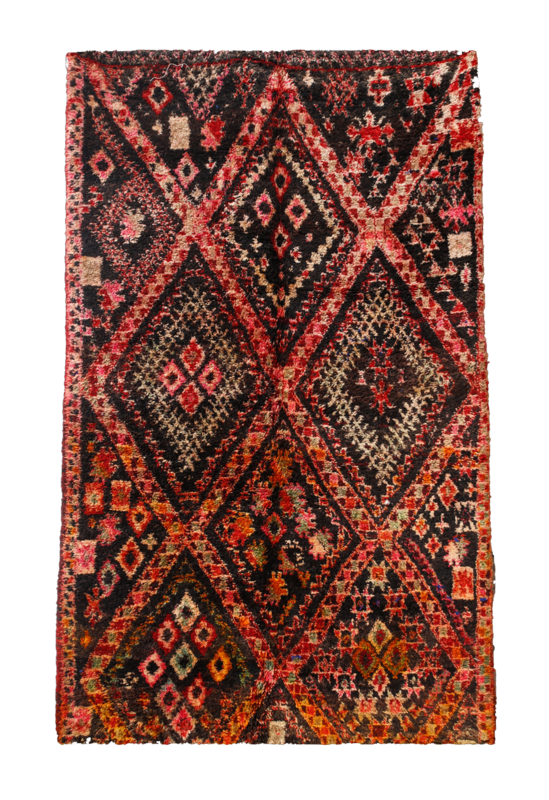 These carpets are made in the western Middle Atlas of Morocco with very thick in pile and simple geometric designs against bright, bold backgrounds of red, blue, green, and black. These carpets usually come in red and saffron-yellow hues from the area 140 km from Ouarzazate. 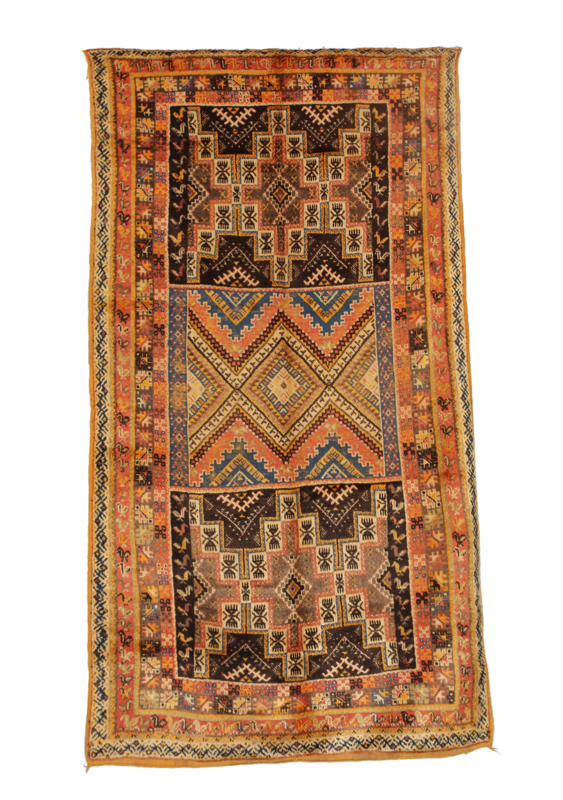 The combination of the rug's colors and esoteric symbolism gives this piece of ethnic art its unique appeal. Boujaad carpets commands attention with their rich colours and Berber tribal prints. 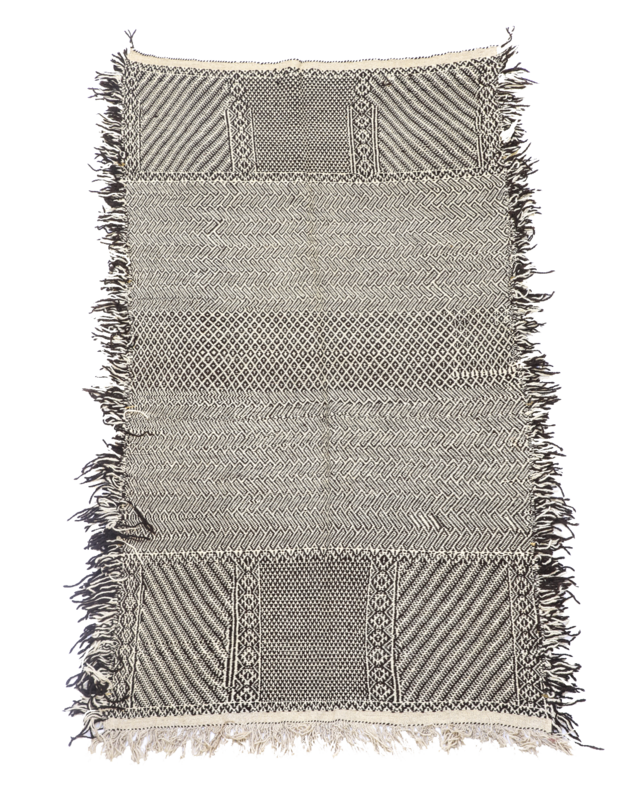 These unique carpets are hand-woven by skilled artisans in the High Atlas Mountains. These carpets usually come in red and saffron-yellow hues from the area of Rehmna. The combination of the rug's colors and esoteric symbolism gives this piece of ethnic art its unique appeal. Zemmour tribes produce a less thick pile using a series of differing designs, both horizontal and vertical. Zemmour carpets are mostly built on a dark reddish background. We carry a wide selection of traditional but bold and modern kilims. They can be used as tribal rugs, decorative tapestries or sofa covers. They are hand woven by skilled women Moroccan artisans. Contact us for our wholesale pricing! Contact us to gain access to our Contemporary Collection.